Liechtenstein bowed to outside pressure Thursday by agreeing to adopt international standards on cross-border tax cooperation, an effort to shed its label of "tax haven". In a joint statement by the tiny Alpine nation's government and its ruling prince, Liechtenstein committed itself to starting bilateral negotiations with other countries that would see it drop its long-held distinction between tax fraud and tax evasion. 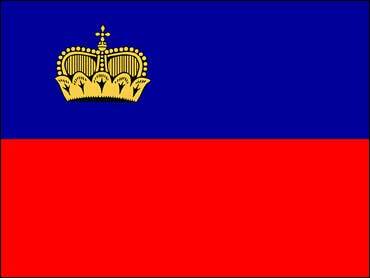 Liechtenstein had so far resisted identifying clients accused by other countries of tax evasion, considered a minor offense, invoking its tradition of banking secrecy. Pressure has been growing on Liechtenstein and other secretive banking strongholds to adopt rules drawn up by the 30-country Organization for Economic Cooperation and Development. An OECD official said Wednesday that Liechtenstein was on a list of "uncooperative tax havens" prepared in the run-up to next month's summit of the Group of 20 advanced and developing nations. "We are aware of our responsibility as part of a globally integrated economic area. With today's declaration, we are making our contribution to a joint solution that will make an effective enforcement of foreign tax claims possible," Prime Minister Otmar Hasler said. He stressed that the decision also "takes account of the legitimate interests of the clients of our financial center." This would include retaining Liechtenstein's bank confidentiality rules, under which foreign authorities have to provide evidence of wrongdoing in each individual case before records on their citizens can be handed over. "We want to make clear that bank client confidentiality in future cannot be misused to facilitate tax crime," Hasler said. The United States, Germany and other countries have in the past accused Liechtenstein of hindering their investigations by insisting on only handing over data in cases of outright tax fraud. The issue came to the fore last year after German intelligence agents acquired a list of hundreds of foreign customers of Liechtenstein's biggest bank, LGT, who were suspected of large-scale tax evasion. They included members of Germany's business elite such as Klaus Zumwinkel, the former head of Deutsche Post AG. In the wake of the global financial crisis, governments have increased their efforts to crack down on the loss of tax revenue resulting from offshore accounts. "We are currently experiencing a fundamental and rapid change at the global level in the direction of stronger cross-border cooperation and international regulation," Liechtenstein's ruling Prince Alois was quoted as saying. "The Liechtenstein Government is sending a signal that it is participating actively in the regulatory dialogue of financial centers without giving up Liechtenstein's identity or the advantages of a reliable and well-regulated small state," he said. "I am convinced that this will help us strengthen the trust of our clients in our financial center." The move increases pressure on other major offshore banking centers, in particular Switzerland, to follow suit and open itself further to foreign tax investigators.